Researchers at the Columbia University Medical Center (CUMC) have have created a way to develop personalized gene therapies for patients with retinitis pigmentosa (RP), a leading cause of vision loss. The approach, the first of its kind, takes advantage of induced pluripotent stem cells (iPSCs) cell technology to transform skin cells into retinal cells, which are then used as a patient-specific model for disease study and preclinical testing. Using this approach, researchers led by Stephen H. Tsang, MD, PhD, showed that a form of RP caused by mutations to the gene MFRP (membrane frizzled-related protein) disrupts the protein that gives retinal cells their structural integrity. They also showed that the effects of these mutations can be reversed with gene therapy. The approach could potentially be used to create personalized therapies for other forms of RP, as well as other genetic diseases. The paper was published recently in the online edition of Molecular Therapy, the official journal of the American Society for Gene & Cell Therapy. “The use of patient-specific cell lines for testing the efficacy of gene therapy to precisely correct a patient’s genetic deficiency provides yet another tool for advancing the field of personalized medicine.” said Dr. Tsang, the Laszlo Z. Bito Associate Professor of Ophthalmology and associate professor of pathology and cell biology. These are images of normal (above) and diseased retinas. 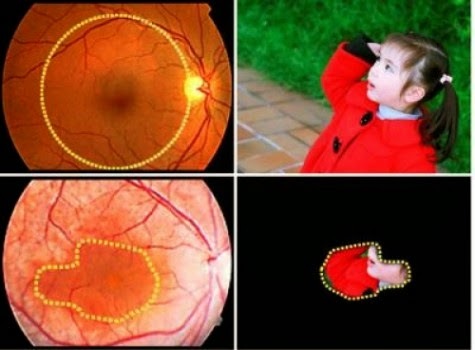 Patients with MFRP mutations, a cause of retinitis pigmentosa, lose the function of most retinal cells, particularly at the periphery of the retina, leaving them with drastically reduced vision. Personalized gene therapy, using iPSCs, may offer a way to correct this genetic disorder. More than 60 different genes have been linked to RP, making it difficult to develop models to study the disease. Animal models, though useful, have significant limitations because of interspecies differences. Researchers also use human retinal cells from eye banks to study RP. As these cells reflect the end stage of the disease process, however, they reveal little about how the disease develops. There are no human tissue culture models of RP, as it would dangerous to harvest retinal cells from patients. 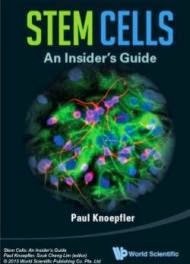 Finally, human embryonic stem cells could be useful in RP research, but they are fraught with ethical, legal, and technical issues. The use of iPSCs technology offers a way around these limitations and concerns. Researchers can induce the patient’s own skin cells to revert to a more basic, embryonic stem cell–like state. Such cells are “pluripotent,” meaning that they can be transformed into specialized cells of various types. In the current study, the CUMC team used iPSCs technology to transform skin cells taken from two RP patients—each with a different MFRP mutation—into retinal cells, creating patient-specific models for studying the disease and testing potential therapies. By analyzing these cells, the researchers found that the primary effect of MFRP mutations is to disrupt the regulation of actin, the protein that makes up the cytoskeleton, the scaffolding that gives the cell its structural integrity. “Normally, the cytoskeleton looks like a series of connected hexagons. If a cell loses this structure, it loses its ability to function.” said Dr. Tsang. The researchers also found that MFRP works in tandem with another gene, CTRP5, and that a balance between the two genes is required for normal actin regulation. In the next phase of the study, the CUMC team used adeno-associated viruses (AAVs) to introduce normal copies of MFRP into the iPSCs-derived retinal cells, successfully restoring the cells’ function. The researchers also used gene therapy to “rescue” mice with RP due to MFRPmutations. According to Dr. Tsang, the mice showed long-term improvement in visual function and restoration of photoreceptor numbers. “This study provides both in vitro and in vivo evidence that vision loss caused by MFRP mutations could potentially be treated through AAV gene therapy.” said coauthor Dieter Egli, PhD, an assistant professor of developmental cell biology (in pediatrics) at CUMC, who is also affiliated with the New York Stem Cell Foundation. Dr. Tsang thinks this approach could also be used to study other forms of RP. “Through genome-sequencing studies, hundreds of novel genetic spelling mistakes have been associated with RP. But until now, we’ve had very few ways to find out whether these actually cause the disease. In principle, iPSCs can help us determine whether these genes do, in fact, cause RP, understand their function, and, ultimately, develop personalized treatments.” he added.